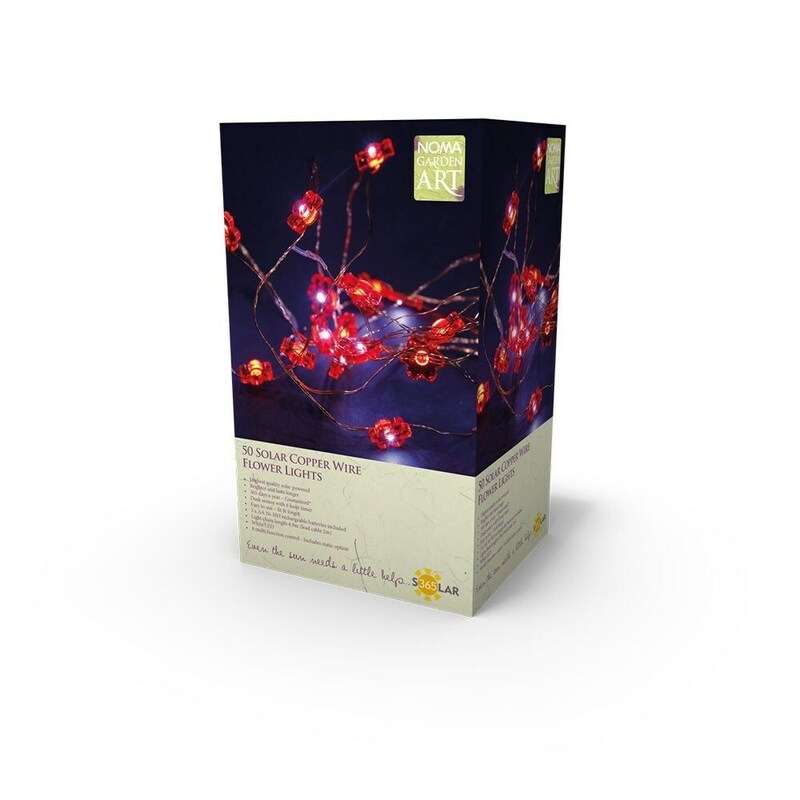 Garland of 50 flower head multi-function LED lights on fine copper wire. Ideal for wrapping around branches and parasol stems, draping from garden arches, decorating trellis, etc. Once put into place, the lights will work all year round in any weather and are completely self-managing. The solar panel recharges in daylight and a dusk sensor turns the light on automatically for 6 hours when darkness falls.